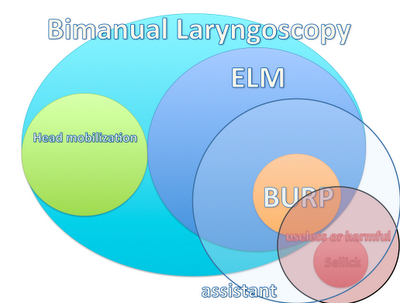 I am a much bigger fan of external laryngeal manipulation (ELM) above BURP. As mentioned in the Broome Docs post, the goal of Sellick is to prevent gastric insufflation and passive regurgitation, while BURP and ELM are laryngoscopy aides; as also discussed at Broome Docs, Sellick is likely: useless for it's intended goal; often worsens your glottic view; and, may impair tube delivery. Therefore, I've taken it off my radar as there's enough more important things for us all to think about during airway management. 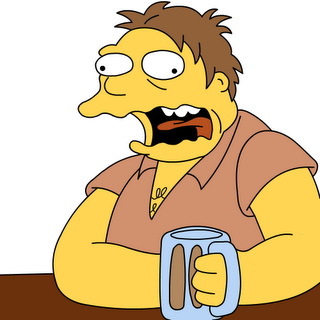 I think of BURP as a "good guess" at the optimal movement (I would guess about 60% accurate). The technique I learned from Reuben Strayer is to have the assistant put their hand on the thyroid cartilage; the laryngoscopist then moves assistant's hand AND therefore the thyroid cartilage in any/every direction until the view is optimized; the laryngoscopist can then remove their hand, leaving the assistant holding the thyroid in the correct place. Reuben discusses this (briefly) in his excellent airway lecture just before the 27 min mark. Some people have called this "bimanual laryngoscopy" (including Levitan; reference in the comments below); others use that term to describe the laryngoscopist moving the patient's head during laryngoscopy. I don't know if I'm right or not, but I think of BOTH of those maneuvers (ELM + head mobilization) as bimanual laryngoscopy, as they are both activities that the laryngoscopist does with their right hand -- conceptually, that makes me think of both of those very helpful maneuvers together instead of as separate entities. It's also a gentle reminder that to use 2 hands on the thyroid cartilage (and oftentimes large-headed patients might need an extra hand under the head as well!). please let me know if any links are broken! succint argument on chest-compression-only CPR. i'm convinced. these are talks i haven't listened to, or i was at the talk 3 years ago and just don't remember it, but look promising. in my queue, and i'll update this as i listen to them.